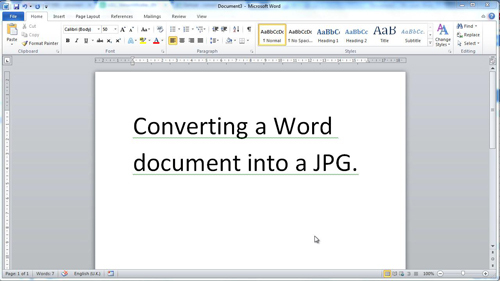 In this tutorial you are going to learn how to convert word to jpg online which is a good step to take if you want to make the document viewable by people who don’t have Word. First of all you need to have a Word document which you want to convert. Save the document with a title you will remember. Start your preferred internet browser and visit the URL, “www.zamzar.com”. You will see several steps on this site for converting your document. First, click the “Choose File” button and upload the document you just created. In “Step 2” choose “jpg” from the dropdown menu, then enter your email address and finally click on “Convert”. Click “OK” in the dialog box that appears. A new page will open that reads “File upload complete”. Now you need to go to your email to find the finished file. 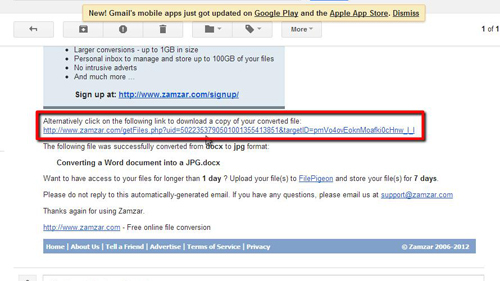 Open the email from “Zamzar Conversions” and click on the link found under the blue box. 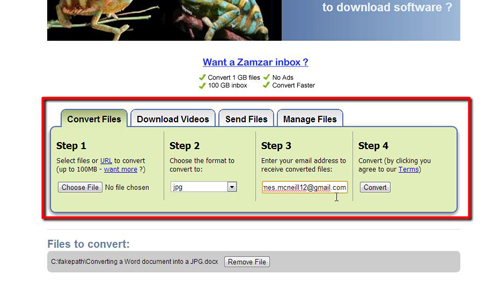 This will take you back to the Zamzar site where you will have two download options, click the bottom “Download Now” button to download the jpg image of your Word doc. 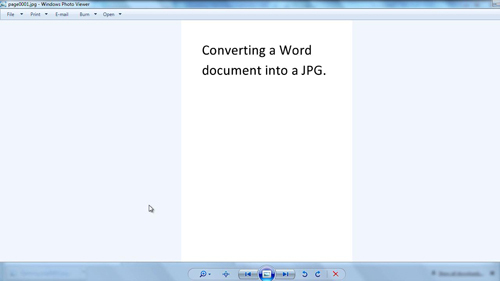 This is how to convert word to jpg online and to view the jpg file all you need to do is open it.